Ferries from Golfo Aranci in Sardinia go to Civitavecchia and Livorno with the operator Corsica Ferries. Below, you can find information of the latest departures alongside a list of our best prices. Booking your ferry is easy with AFerry and you are certain to have a pleasant and relaxing journey on Corsica ferry with Corsica Ferries. Golfo Aranci is all surrounded by nature and has many attractions. 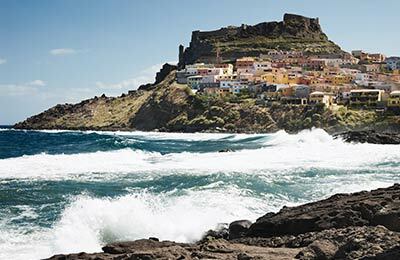 Golfo Aranci Ferry Port is located on the north east of the Sardinia's island in Italy and it is very close to Porto Rotondo and Porto Cervo, famous touristic locations in Sardinia. Golfo Aranci Ferry Port handles a million passengers every year and because of its efficiency also with large-tonnage ships, it received a national recognition. Golfo Aranci Ferry Port consists in a Commercial and Passenger Port and Fishing Port. Ferries from Golfo Aranci go to Corsica and can be booked through AFerry. Golfo Aranci Ferry Port seabeds' allow large-tonnage ships and it is an important connecting port for the State Railways. Golfo Aranci Ferry Port offers also recreational activities. In the Golfo Aranci Ferry Port you can also find offices and reception services. Golfo Aranci Ferry Port is very easy to reach by sea and by airplane. 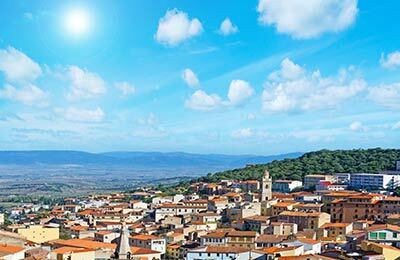 From the South of Sardinia take the ss131 North-East to the city of Olbia. From Olbia take the SP82 straight to Golfo Aranci and in about 20km you will reach Golfo Aranci Ferry Port. The Railway Station is close and there are bus services to Golfo Aranci Ferry Port.